There are many ways for measurement of a physical quantity. While selection of transducers, how to select a transducer for a particular application, following points should be kept in the mind. Unfortunately most transducers are not sensitive to just one quantity. If measurements are to be made under conditions where there is likelihood of two or more input quantities influencing the transducer, it is desirable to select a transducer which is sensitive to the desirable quantity and insensitive to the unwanted quantity. If this is not possible, ways and means should be found to eliminate or compensate for the effects of the unwanted input quantity. Operating Principle. The transducers are many times selected on the basis of operating principle used by them. The operating principles used may be resistive, inductive, capacitive, optoelectronic, piezoelectric etc. Sensitivity. 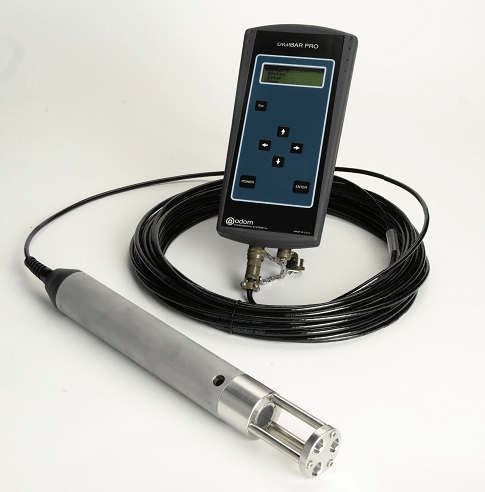 The transducer must be sensitive enough to produce detectable output. Operating Range. The transducer should maintain the range requirements and have a good resolution over its entire range. The rating of the transducer should be sufficient so that it does not breakdown while working in its specified operating range. Accuracy. High degree of accuracy is assured if the transducer does not require frequent calibration and has a small value for repeatability. It may be emphasized that in most industrial applications, repeatability is of considerably more importance than absolute accuracy. Cross sensitivity. Cross sensitivity is a further factor to be taken into account when measuring mechanical quantities. There are situations where the actual quantity is being measured is in one plane and the transducer is subjected to variations in another plane. More than one promising transducer design has had to be abandoned because the sensitivity to variations of the measured quantity in a plane perpendicular to the required plane has been such as to give completely erroneous results when the transducer has been used in practice. The transducer should maintain the expected input output relationship as described by its transfer function so as to avoid errors in transducers. Transient and Frequency Response. The transducer should meet the desired time domain specifications like peak overshoot, rise time, settling time and small dynamic error. It should ideally have a flat frequency response curve. In practice, however, there will be cutoff frequencies and higher cut off frequency should be high in order to have a wide bandwidth. Loading Effects. The transducer should have a high input impedance and a low output impedance to avoid loading effects. Environmental Compatibility. It should be assured that the transducer selected to work under specified environmental conditions maintains its input-output relationship and does not break down. For example, the transducer should remain operable under its temperature range. It should be able to work in corrosive environments (if the application so requires), should be able to withstand pressures and shocks and other interactions to which it is subjected to. 10. Insensitivity to Unwanted Signals. The transducer should be minimally sensitive to unwanted signals and highly sensitive to desired signals. Usage and Ruggedness. The ruggedness both of mechanical and electrical intensities of transducer versus its size and weight must be considered while selecting a suitable transducer. Electrical aspects. The electrical aspects that need consideration while selecting a transducer include the length and type of cable required. Attention also must be paid to signal to noise ratio in case the transducer is to be used in conjunction with amplifiers. Frequency response limitations must also be taken into account. Stability and Reliability. The transducer should exhibit a high degree of stability to be operative during its operation and storage life. Thanks for reading about “How to select a transducer”.